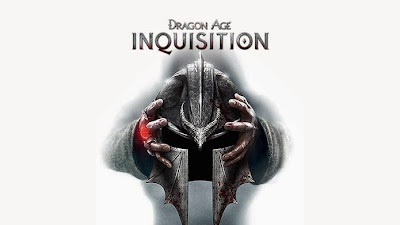 Dragon Age: Inquisition is the third installment in the Action RPG game franchise developed by BioWare and published by EA. Before you get the best equipment you need to know that there is no magic item can solve all problems. All the spoils are random: no bag or enemy will leave an enchanted weapon. To resolve this problem you need to build a weapon or armor preferred, having a lot of work to find the right materials. The first step in creating the perfect object is to find the ideal construction plan. Just like everything else in the game, it can be found in a body of an enemy or purchased from a vendor in the different cities: Val Royeaux, for example, in Orlesian has some of the best. There are three different categories of weapons, the third highest. In this way, find the level of schematic 3 of your favorite weapon: two-handed sword, bows, staff etc. Then go to the forge room at headquarters to build it. In addition, the different materials is necessary demanded in the schematic, can be found in nature or purchased on the market. The only major difference is to find a version of "masterwork" building material, which will increase the basic status of creation. To improve your gun, go to the intended table. Then see if the new acquisition has spaces that can be filled by different materials. You can use fabric, metal, leather etc. To make the best weapon, you must once again seek materials that are classified as "masterwork". There are even more ways to make the most powerful weapon. The first is the inclusion of magical runes that grant certain bonus. Be careful when using the runes! This is because they can only be applied once the gun, since they can not be recovered when exchanged. In fact, most inserts a special kind of damage to the attack. Finally, there are schematic enhancement that can be used to make even more powerful weapon. Again be careful always to get the best materials. In Dragon Age Inquisition, there is an item or weapon that already start instantly improve the game. In addition, the possibility of customization is so great that the game allows you to name the weapons themselves, making them even more unique.